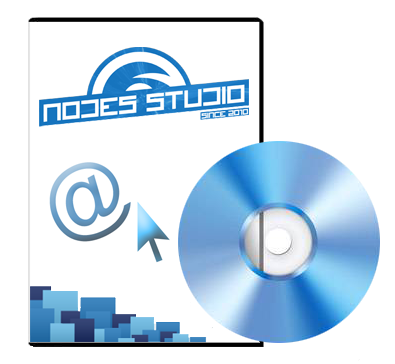 Nodes Studio is a library of interface elements (framework) with integrated content management system (CMS), which is one of the most successful solutions for web development today. Framework provides developers with an object-oriented representation of the site and a library of functions to work with it. Distributed backend functionality of the system allows the parallel development of several programmers site, which is especially useful in the case of major projects. Integrated CMS allows to fully manage both the content of the site and its software-functional component. With its help, you can quickly publish materials on the site of any structure and complexity, as well as easy to manage. Support of user-defined functions, such as commenting on articles or able to share pages on social networks will help to create a complete information resource. Chat integration allows authorized users at any time to contact with the resource manager. Online store built into the system, you can quickly and easily start selling on the Internet. Integrated payment system will accept payments, and CMS will help guide the warehouse and accounting. The framework is available in 2 languages ​​and supports expansion up to any of the language schemes. In addition, several fremvork integrated frontend templates available for use and customization.